DMC who understands your needs and has the best relationships with the top vendors. JMC prides itself on providing a vetted team to create the best event for your attendees in every event category. We are excited to share our newly renovated Charleston International Airport, where JMC Charleston staff can help you begin the Charleston experience. Sedans, SUV’s, Sprinter Vans, Mini Coaches, Motor Coaches, horse-drawn carriages – we have the best of them available for your attendees. Coordination is key in a historic city which for JMC Charleston entails always having the required permits and knowing exactly where bus routes can and cannot go. Our services are turnkey. Special Event Production….It really is our favorite part of your program. Our city is unique with the number of event venues available for your attendees to enjoy. Historic, or waterfront, private or public, rural or city…the choice is yours. JMC has multi-decade relationships with many of these venues. Our mission is to find the perfect location for each event, enabling you to accomplish your goals. Our team customizes each proposal, matching the best caterers, entertainment, beverage services, transportation, and lighting designers. The JMC Charleston team expertly designs each event, making certain that your mission is accomplished. Tours and Activities…something for everyone and every season of the year. Every tour or activity offered by JMC features something which is exclusive. It is what we do. A private garden added to a historic walking tour….the owner of an art gallery greeting the guests and offering a special insight into the works shown….a special showing at a plantation of elements not offered to the public – you can count on it. Your guests so often have “been everywhere and done everything.” JMC Charleston creates each experience based on the attendees. After all, the tour or activity is for them. Even in a city founded in 1670, we can offer cutting edge teambuilding activities. The key is for us to ask the right questions and determine what you wish to accomplish. Our staff will assist you in finding just the right activity – all tailored to create the perfect experience. From historic scavenger hunts searching for information by foot or by rickshaw to biscuit making teams to sailing regattas in our stunning harbor – the choice is yours. Dine-Around Events…We love our Chefs and know them well. Yes, Bravo filmed Top Chef 2017 this year…..we have one of the top Wine and Food Festivals in the Country…..and yes, everyone wants to know what Lowcountry Cuisine really means. Since the late 17th Century, Charlestonians have been known for their ability to entertain. Our restaurants feature James Beard award-winning chefs and spaces for your attendees to experience their unique and varied creations. The JMC team loves to create the experience that works with your mission. Perhaps cocktails in a historic venue followed by dinner in a variety of restaurants followed by the evening continuing in one of our many clubs staffed with the best mixologists….or a buyout of a chic hidden gem…the choice are yours. Entertainment…Options abound spanning three centuries. In such a small city with a grand history, the perfect entertainment comes from exceptional sources. Think a choir or bagpiper from the Citadel, the military academy of South Carolina. Think a spiritual choir from a local church or school. Opera singers performing ballads from America’s first opera, Porgy and Bess. Think about the Jazz musicians who come from an unfiltered past, having helped to create the American Jazz Movement in Harlem in the 1920’s. Professional dancers demonstrating our state dance, “The Shag.” The JMC team is here to present options for your guests to enjoy. Let’s dream together. Amenities…For every occasion, there should be a special gift! We offer a wonderful variety of in-room gift presentations as well as gift experiences. Our specialty amenities to enjoy in your rooms connect to Charleston’s long lasting heritage. Salted, Spiced or Candied Pecans, Cheese Straws, Key Lime Coolies, Benne Seed Wafers. You must try them all on your site visit. We offer a variety of experiences – perhaps throughout the day as guests check in. Custom made buckles and belts of all sizes, colors and designs are presented in your hospitality suite. The team will meet with each of your guests to choose the right style buckle and belt! 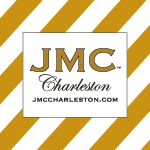 Ask your JMC Charleston sales manager for a list of these epic experiences! Event Staffing…after all, it is all about the hospitality. The pineapple is our symbol of hospitality. Charlestonians take that very seriously. The personal experience makes the event a success. The interaction between our staff and your attendees offers us the opportunity to wow them. Simply put, it is our goal. From registration desk attendants to meet and greet staff to guides on our coaches entertaining guests on the way to an evening event, the JMC Charleston team understands how your guests need to be taken care of based on the demographics, and your mission.